What a wonderful idea that Bicycle NSW is promoting in supporting opportunities for women to experience and participate in the pleasure of riding a bicycle in a fun way with others. From modest beginnings Gear Up Girl was founded in 2008 as a 'not for profit' organisation to run a mass participation ride from Cronulla to the Sydney Olympic Park. Over 850 woman took part in that ride and now GUG has expanded and runs rides, workshops and other events in NSW and a couple of other states to include challenge rides in Canberra and Adelaide. This whole concept is about giving women the confidence to get out there and have a go, while promoting the health benefits of cycling to in helping to lead and active and healthy lifestyle. Not only that, cycling is becoming more and more popular and is an environmentally sustainable mode of transport. [ADVERT]The Gear Up Girls have also previously arranged a Grape Tour cycle with their bikes, a weekend away filled with cycling and wine tasting. For more of a challenge on your bike, there are mountain bike rides to spend a great weekend with like minded people. Next arranged rides are 17-18 May in Taree and 7 - 8 June in Canberra. Check out the website for more rides or events as they are organised. 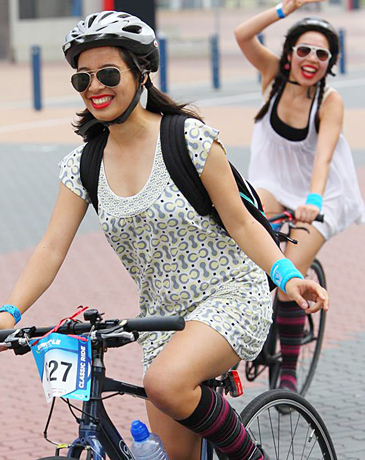 More recently, just on Sunday the 9th of March 2014, 1000 women of all ages and abilities rode their bicycles from Sydney Olympic Park to Cronulla Beach in the 2014 Gear Up Girl Ride, Bicycle NSW's celebration of women and bike riding. 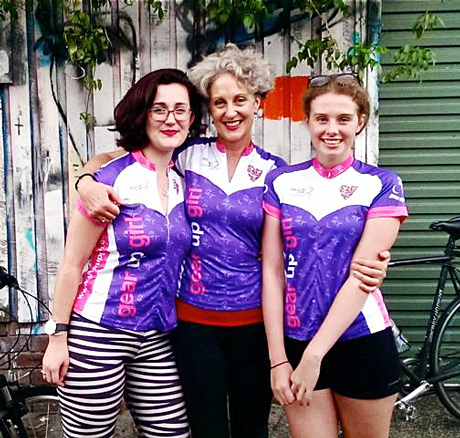 They were excited to announce that Elizabeth Farrelly, a Sydney-based columnist and author, participated in this ride with her daughters as the official Gear up Girl Ambassador, supporting women's bicycling. There is also a Bicycle NSW Ride Guide that you can download here that will tell you all about the rides, the gear to bring, how they are run and all the good information. Gearing up on your bikes is for fun, health, fitness, social interaction, exploring and discovering, so get riding.